Hi everyone! 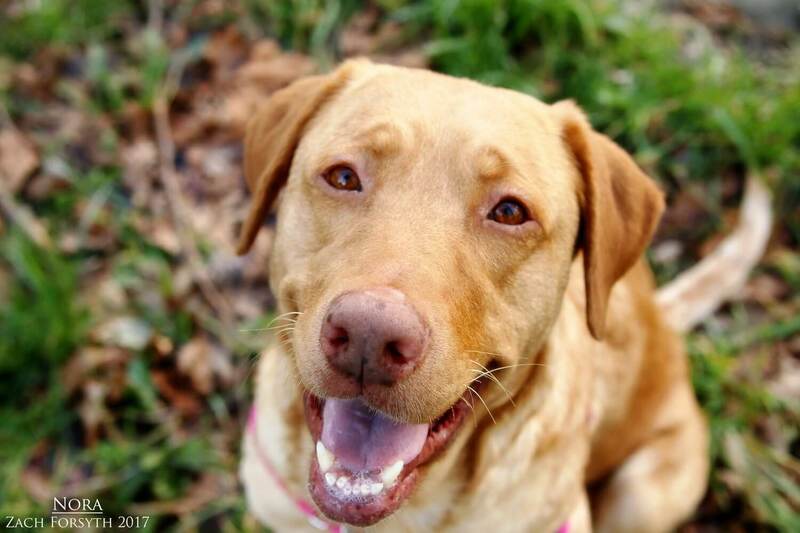 My name is Nora and I am just a sweet 2 year old yellow lab. I am a Southern Belle from Texas and was a little bit of a mess when I arrived at Pixie. But they got me all fixed up and ready to start my search for my new forever home! I am very chill and cuddly gal that will always roll on my back to show you my belly, awaiting some nice pets! I will even keep nudging you for more if you stop. I just love being snugly! My foster says I very bright and eager to learn, and would even be a great scent work dog. Though I am a very chill pup, I really do enjoy going for walks around the neighborhood. I am not a marathon hiker by any means, but I just adore being in the great outdoors, so a big yard would be ideal! I have met some doggy pals that I don’t mind hanging around, but I really just want your attention all to myself. It means more available hands for my belly rubs!! I am very people social and would need a quieter owned home with kids over 14 and no cats. Being from the South, the city is still pretty busy for me, so a quieter suburb or neighborhood would be best. I am just a big mellow sweetheart with a lot of love to give. So fill out an application today and we can set up a meet. I come to you spayed, vaccinated, and micro-chipped with an adoption fee of $300.